Even though Christmas did not become a national holiday until 1870, it has a centuries old history in America. Interestingly, in colonial America, the southern regions that were more directly linked to High-Church traditions (e.g., Anglicans, Catholics, Episcopalians) celebrated Christmas; but the northern regions especially linked to Low-Church traditions (e.g., Congregationalists, Baptists, Quakers) did not. 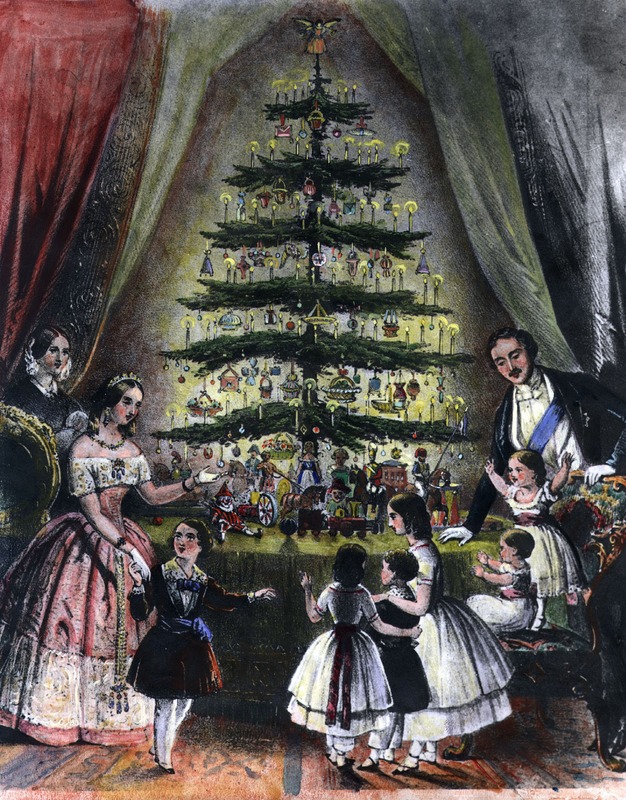 Those Low-Church colonists associated the pomp and grandeur of Christmas celebrations directly with the autocratic leaders and monarchs in Europe that they so opposed. 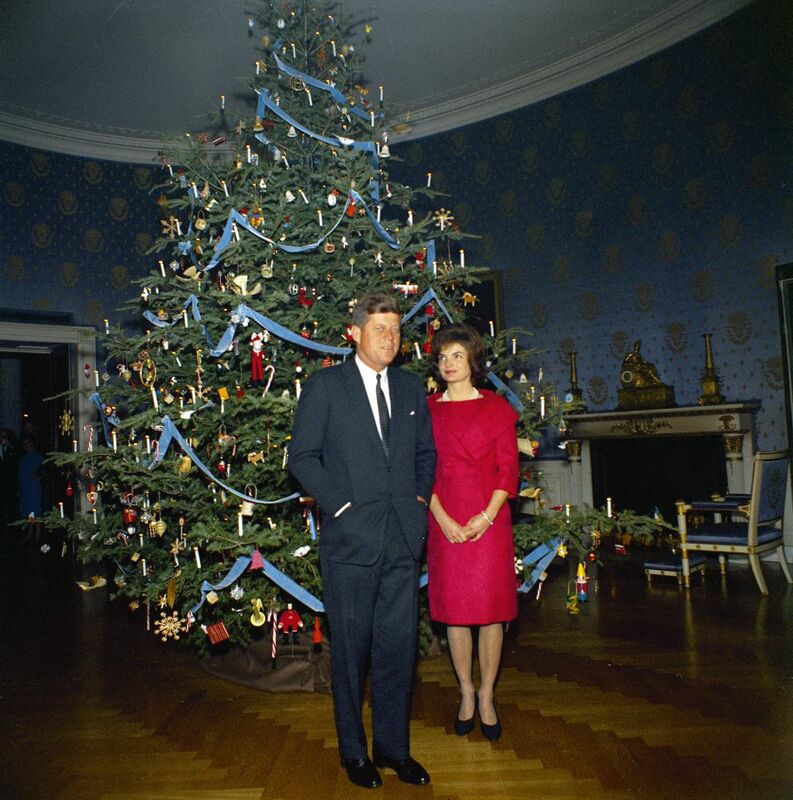 In 1889, the first indoor decorated tree was placed in the White House, and in 1895, electric lights were added. In 1923, the first National Christmas Tree Lighting Ceremony was held. In 1954 it was named the Pageant of Peace but in 1969 it became embroiled in a legal controversy over the use of religious symbols. In 1973, the nativity scene that had always been part of the Pageant was no longer allowed, but in 1984, it returned. 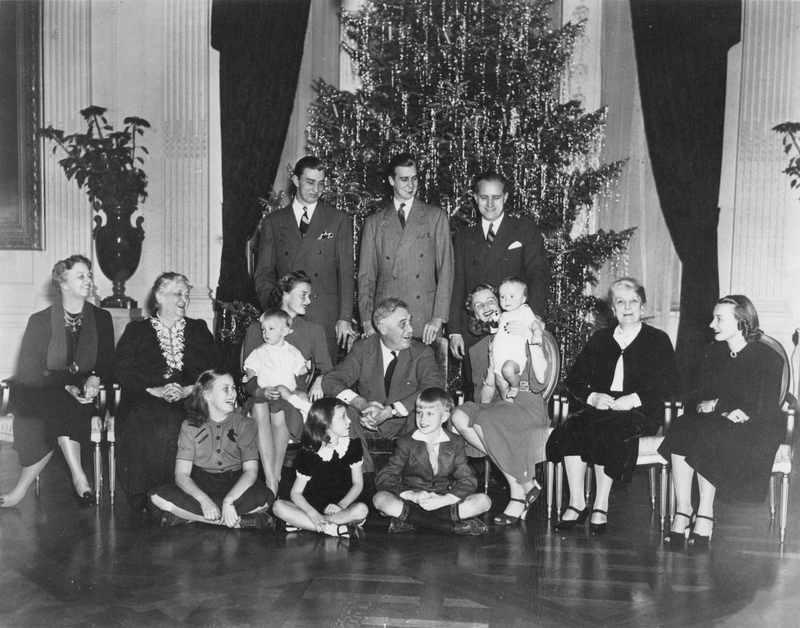 In 1953, the first White House Christmas card was created by President Dwight Eisenhower. (Ike was an artist in his own right and allowed six of his own paintings to be used as Christmas gifts and cards.) President Kennedy’s 1963 Christmas card was the first to include an explicitly religious element, featuring a photo of a nativity scene. 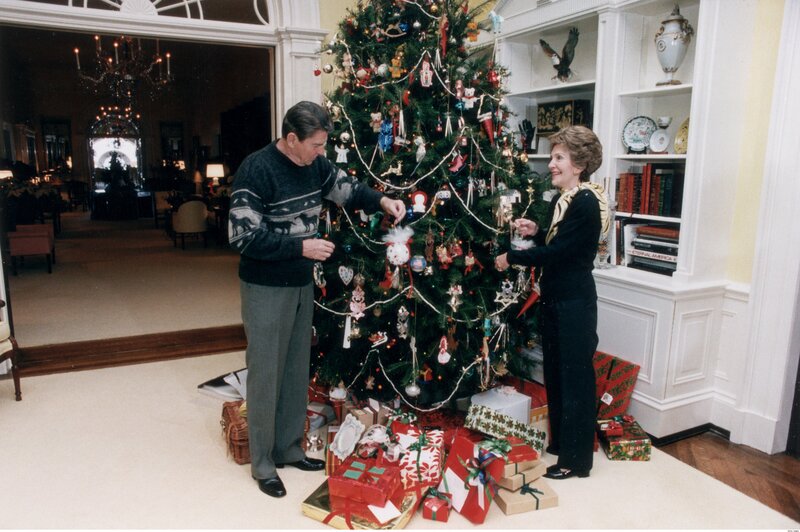 And in 2001, the first White House Christmas card to contain a Scripture was chosen by Laura Bush. It quoted Psalm 27: “Thy face, Lord, do I seek. I believe that I shall see the goodness of the Lord in the Land of the Living” – a Scripture she had chosen on September 16 (only 5 days after 9/11), based on a special sermon preached at Camp David. Christmas was celebrated by our national leaders as a religious holiday, not the secular holiday it has become. Here, at home, we will celebrate this Christmas Day in our traditional American way – because of its deep spiritual meaning to us; because the teachings of Christ are fundamental in our lives; and because we want our youngest generation to grow up knowing the significance of this tradition and the story of the coming of the immortal Prince of Peace and good will. . . . [FDR then prayed a prayer for the troops, and closed with:] We pray that with victory will come a new day of peace onearth in which all the Nations of the earth will join together for all time. That is the spirit of Christmas, the holy day. May that spirit live and grow throughout the world in all the years to come. In recent years, there has been a relentless push from secularists and progressives to transform Christmas. Schools, government offices, and many commercial stores have replaced Merry Christmas with Happy Holidays to appease critics, not realizing that 93% of Americans celebrate Christmas, and 97% are not bothered by the use of the phrase “Merry Christmas.” Yet far too often, the 3% seems to drive public policy; Americans need to push back. So . . . Merry Christmas!!! Written by David Barton at WallBuilders.com.